Stereowise Plus: ASUS Unveils a Lineup of Innovative Products at Pepcom Holiday Spectacular! ASUS Unveils a Lineup of Innovative Products at Pepcom Holiday Spectacular! ASUS NX90Jq Atelier craftsmanship and cutting-edge technology seamlessly meld together in the luxurious ASUS NX90Jq notebook. Designed by award-winning designer David Lewis of David Lewis Designers, the NX90Jq is a study in sublime contrasts, featuring a polished aluminum exterior and palm rest that match beautifully to the matte-black keyboard and dual touchpads. Two speakers featuring Bang & Olufsen ICEpower® technology flank an 18.4" display reminiscent of high-end consumer flat screen televisions. Exclusive ASUS SonicMaster technology helps ensure that all audio is reproduced as flawlessly as possible. The NX90Jq also offers a unique way to interact with the system, in the form of dual touch pads. These work in concert with the Rotation Desktop software to provide users with an intuitive DJ-like control. Featuring the latest in Intel® Core™ i7 and NVIDIA GeForce® technologies plus up to 1.28TB* of storage space and 8GB* of DDR3 memory, this work of modern art also has the power to replace your desktop. ASUS U33JcThe U33Jc is a 13.3" notebook featuring one of the most elegant designs ever developed by employing natural bamboo on the cover and keypad area for a sophisticated look and touch. By employing this natural material in a unique way, ASUS has perfectly combined traditional craftsmanship and modern technology. The U33 Bamboo notebook boasts the industry's most innovative technologies, such as Intel's® Core i3-370M processor and NVIDIA's® G310M discrete graphics chipset. In addition, the U33 Bamboo notebook is equipped with USB 3.0 connectivity for high speed transfers along with Intel's WiDi wireless display technology that enables users to transfer high-definition images and audio to external displays. Energy savings are provided by Intel Turbo Boost technology, NVIDIA Optimus auto-switch technology and ASUS' exclusive Super Hybrid Engine technology. ASUS N53JfThe ASUS N53Jf represents a new definition in style, portability, and entertainment performance. Featuring next generation NVIDIA® GeForce GT425M graphics along with an Intel® Core i5 processor and ASUS Sonic Master audio technology the N53Jf is your best choice for a portable entertainment platform. The exclusive ASUS SonicMaster technology is a new audio standard focused on providing professional surround sound. 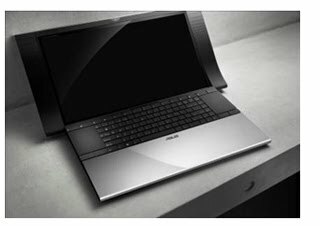 Co-developed with acclaimed Bang & Olufsen ICEpower and based on the efforts of ASUS’ Golden Ear team, SonicMaster completely reinvents the way audio is treated and reproduced on notebooks. Users further benefit from the implementation of several additional technologies on the new N Series notebooks, including USB 3.0, NVIDIA Optimus auto-switching technology and Intel Turbo Boost for additional processing power when needed.